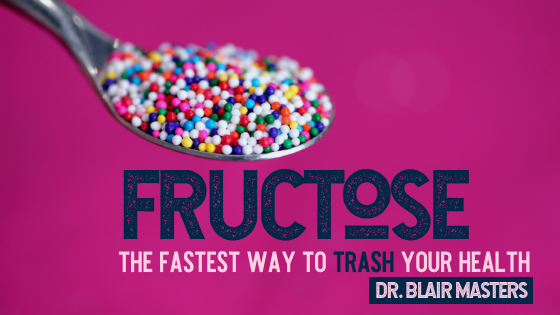 Fructose: Why You should avoid it. In a research study the brains of nine subjects were scanned after they got an infusion of equal volumes of glucose, fructose or saline. The brain scans were looking at activity in the hypothalamus, a part of the brain which plays a key role in setting appetite levels and controlling production of metabolic hormones. People everywhere are finally waking up to the fact that all simple sugars are not the same when it comes to how they affect your body and your brain. The latest Public Service Announcement warning New Yorkers about the dangers of excessive soda consumption is a powerful illustration of this increasing level of awareness. Another problem with fructose is that most American’s receive this already bad sugar in the form of high fructose corn syrup (HFCS). HFCS is in large part responsible for the huge rise of obesity in our society and its related health problems. High Fructose Corn Syrup is a large ingredient in a most sweetened drinks and processed foods. Part of what makes HFCS so unhealthy is that it is metabolized to fat in your body far more rapidly than any other sugar. And this is entirely done in your liver. The type of fat the liver produces is the type of fat that collects in your abdominal region and is associated with a greater risk of heart disease and diabetes. Additionally, because most fructose is consumed in liquid form (i.e. Soda Pop and sweetened beverages of all kinds), its negative metabolic effects are made even worse. This is partially because when sugar is delivered in liquid form, it is absorbed much more rapidly. Obesity, insulin resistance, and type 2 diabetes. Elevated Triglycerides and LDL (bad) cholesterol levels. Depletion of vitamins and minerals. And to make matters worse, HFCS is almost always made from genetically modified (GM) corn, which is shown to cause an increased risk of developing food allergies to the risk of increased infertility. The bottom line is that you should avoid fructose. Limit fruit, no fruit juice, and certainly nothing that contains High Fructose Corn Syrup. Have you ever wondered...Are there other foods I should avoid? What should I be eating? Schedule a nutritional consultation to learn how to provide your body with the best nutrition and discover how your body is meant to feel.